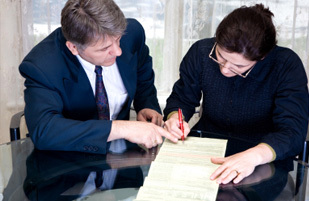 Have you and your spouse agreed on the terms of your divorce? How long have you lived in Michigan, if any? What GOALS do you have for your attorney? How will you pay if you decide to hire a lawyer? Do you have special instruction for the lawyer when he or she call you? Michigan is a no-fault state, meaning neither spouse is blamed for the breakup. No-fault lessens the potential damage to all parties caused by the process of divorce. If the marriage is "irretrievably broken", meaning there is no way to save the marriage, then that is all that is required to obtain a divorce. Either spouse can file for the divorce. Everyone's situation is unique to the individual. And, of course, nothing can substitute for hiring a family law lawyer when divorcing or when dealing with the often complex legal issues that arrise as a result of divorce. Contact us to find out how we can help you. We welcome enquiries by email and there is also a contact form. We look forward to assisting you, and helping you to achieve the outcome you want. Southfield & Detroit divorce attorneys of the Law Office of Divorce attorneys of Michigan in Southfield & Detroit, Michigan, handles all types of family law and divorce matters throughout Southfield area, and the Tri-County Metro Detroit area, including Detroit, Southfield, Novi, Warren, Roseville, Livonia, Mount Clemens, Sterling Heights, Farmington Hills, Birmingham, Oak Park, West Bloomfield, Ann Arbor, Waterford, Flint, Canton, Taylor, Romulus, Westland, Clinton Township, Troy, Dearborn, Brighton, Howell, Pontiac, Rochester Hills, and Royal Oak, as well as Wayne County, Oakland County, Macomb County, MI. An uncontested divorce occurs when: (a) there are no disputes or disagreements between you and your spouse over any financial or divorce-related issues (i.e., child custody and support, division of marital property or spousal support); and (b) your spouse either agrees to the divorce or fails to to file a formal response with divorce court. If you’re looking for the quickest and easiest solution to getting a divorce in Michigan, a flat fee divorce is the best choice for you. As long as you have lived in Michigan six months and you and your spouse can reach agreement on all property division and settle all issues connected with a divorce, then you can easily get an uncontested divorce. Divorce Attorneys of Michigan., PLC is comprised of a full staff of attorneys, with at least six attorneys attending court appearences daily along with attorneys to handle paperwork, plus paralegals and office staff highly skilled in all areas of divorce law and sensitive to the unique aspects of family law, custody, and support. 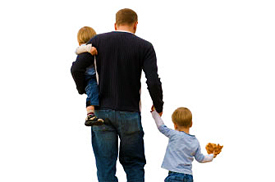 *** $499.00 For Uncontested Michigan Divorce Without Children + Court Filing Fee. We are familiar with every aspect of Michigan divorce and family law, and we can help you achieve the divorce that you desire. Divorce Attorneys of Michigan PLC is an affordable family law firm practicing in the Detroit -Metro area, situated to provide you with competent and affordable legal services in all family law matters. We understand that, in many cases, seeking legal advice about a family law issue may be the first time you have ever needed to hire an attorney. We know what a stressful process this can be and we do everything we can to help you through it in the most pain-free manner possible. We work diligently to obtain the best resolution for the needs of you and your children. Need a Fast & Affordable Uncontested or No Fault Divorce? Fixed fees (no surprises, no ticking clock) for uncontested divorce. 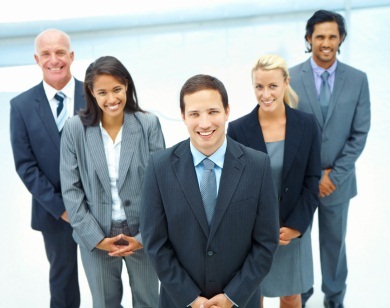 We are transparent and upfront and where we can, outline all costs at your first meeting. option of meeting at place near their home or at a venue that suits you. Yes, lawyers who travel to you!